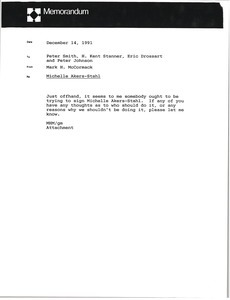 McCormack asks that someone meet with an unspecified person. 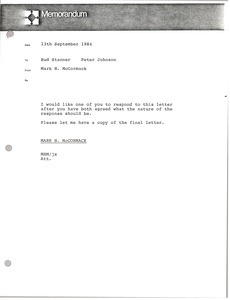 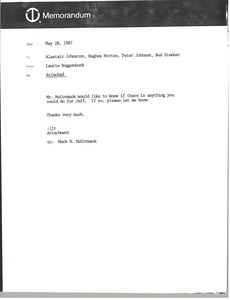 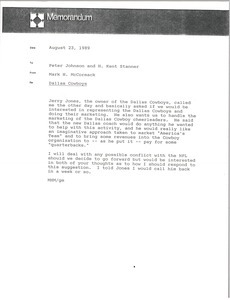 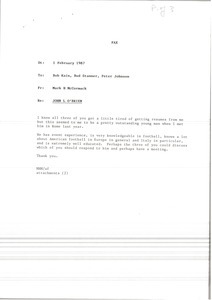 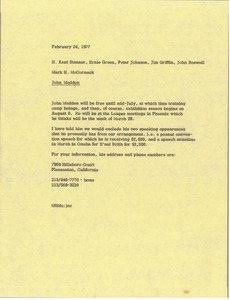 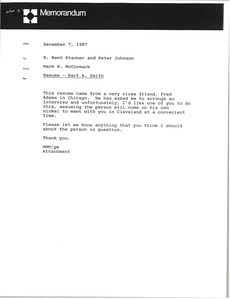 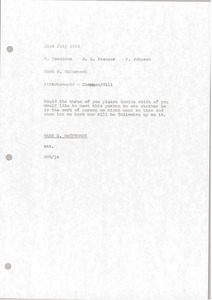 McCormack sends a resume from Bart A. Smith. 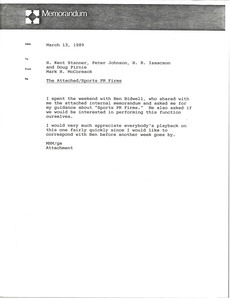 Concerning the attached internal memorandum from Ben Bidwell's company about sports PR firms.